Zeitgeist is pleased to present new work from Nashville-based painter, Richard Feaster. Richard Feaster makes paintings that are resolutely abstract. 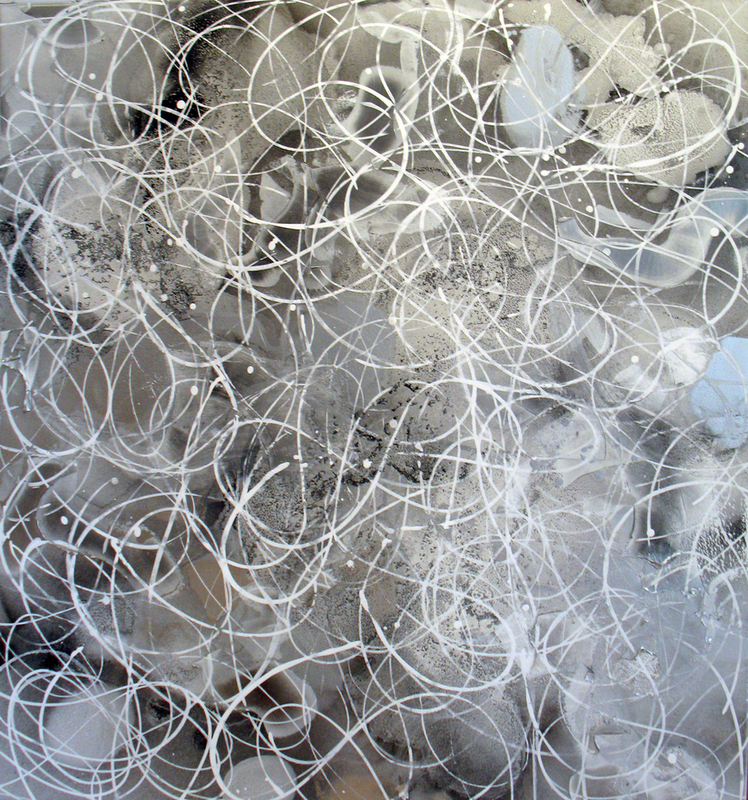 Employing unorthodox technique, the artist combines graphite and metallic pigments with oil, acrylic and enamel paints to produce radiant monochromatic compositions. Taking his cues from artists as diverse as Pablo Picasso, Henri Michaux, and Christopher Wool, Feaster seeks to advance the language of abstract painting through the use of an ever-expanding lexicon of material effects, marks, and erasures, entreating the viewer to participate in a disjointed narrative that warps the experience of pictorial space, light and action. Richard Feaster received an MFA in Painting from Tulane University, and attended the Skowhegan School of Painting and Sculpture in 1993. He has exhibited widely in the US, most recently on New York’s Governor’s Island, and his work has been featured in the periodical New American Paintings, among others. Feaster’s work was recently purchased for inclusion in the FirstBank Janet & Jim Ayer’s Collection of Tennessee Art, and his work has been selected for acquisition by the Music City Center.